On July 23rd, 2018, Delaware Governor John C. Carney signed Senate Bill No. 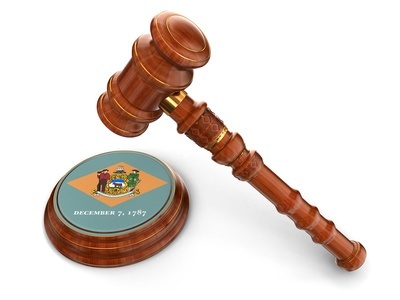 180 into law, amending Title 8, Chapter 1, §§101-398 of the Delaware General Corporation Law. While the amendment to name distinguishability in §102(a)(1) does not go into effect until August 1st, 2019, the other provisions discussed in this summary are effective August 1st, 2018. Below, we highlight some key changes in the legislation. Section 114 concerning the application of Chapter 1 to nonstock corporations is amended to include §204 and §205, enabling nonstock corporations to ratify and determine the validity of corporate acts. Section 204(c)(2) is added to confirm that defective corporate acts can be ratified under §204 under certain circumstances. Section 204(h)(1) now confirms that an act or transaction purportedly taken by a corporation, within its power under Subchapter II, may be voidable due to a failure of authorization, further clarified by a new amendment to §204(h)(2). Section 262(b)(1) is amended to include that, in the case of a merger pursuant to §251(h), no appraisal rights are available for the shares of any class or series of stock immediately prior to the execution of the agreement of merger (subject to certain conditions). Section 262(e) entitles any stockholder compliant with subsections (a) and (d) of §262, upon written request, to receive a statement of certain aggregate number of shares from the surviving corporation within 120 days, following the effective date of the merger or consolidation approved pursuant to §251(h). Section 313(b) is amended to remove the requirement for the Secretary of State to issue a certificate that an exempt corporation’s Certificate of Incorporation or charter has been revived. Previously, this certificate was issued upon the corporation’s filing of proof of classification, filing of certificate of revival, and payment of required fees. Section 502(a) has removed the requirement for an exempt corporation to list the specific facts that entitle it to taxation exemption. Effective August 1st, 2019, §102(a)(1) provides that the name of a corporation must be distinguishable from the name of a registered series of a limited liability company on record with the office of the Secretary of State. Review the full text of Senate Bill 180.